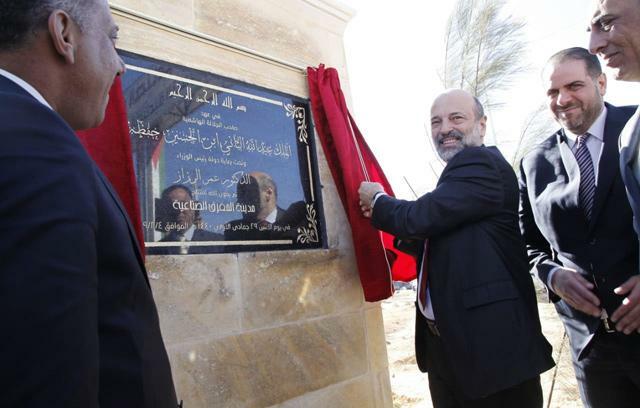 AMMAN — Prime Minister Omar Razzaz on Monday inaugurated the Mafraq Industrial City during a field visit to Mafraq Governorate, the Jordan News Agency, Petra, reported. “When the Mafraq Development Company was established in 2008, we knew that this district would be highly attractive to exporters to Iraq and Syria, but as a result of regional conditions and border closures, the desired objective was not realised at the time,” Razzaz said. He noted that the government recognises the challenges facing many sectors, pointing out that the economic team, which meets every Saturday, listens to the reality of the economic and service sectors, and makes decisions to facilitate procedures for these sectors.